The British public is concerned that the cuts to the police budget have put their lives at risk by making the streets a dangerous place. Sputnik spoke to Dr David Scott, Senior Lecturer of Criminology at the Open University, who believes the research highlights the importance of austerity and budget cuts. Sputnik: What do you make of the figures by the BMG research in public view of police budgets? David Scott: Well I think the survey, is making some very important connections about the relationship between austerity and budget cuts and the perceptions of policing and this notion of people's safety. As it turns out from this survey, 80% of people believe the police force is now has too little budget and this has meant that we have a less safe society and too few police on the streets. 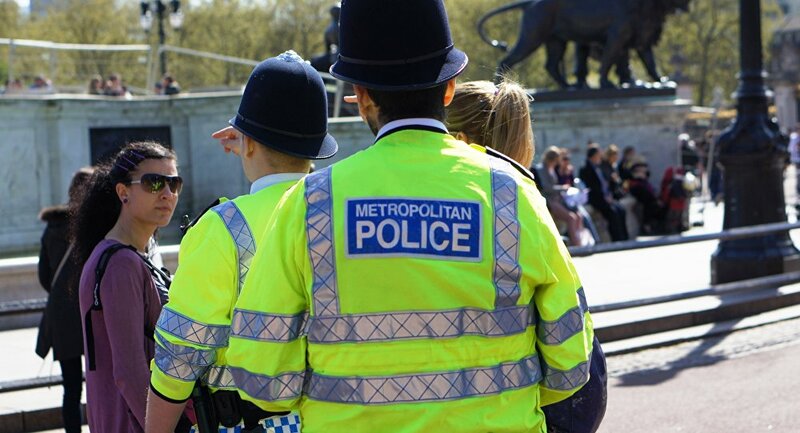 A report by the National Audit Office published earlier this year noted that there had been a significant drop in funding for police since the Conservatives came to power in 2010, so certainly, this argument as a context of austerity is certainly significant when it comes to understanding the policing role. Sputnik: How much are the police suffering to efficiently cope with the budget cuts? David Scott: These are all the questions we need to ask around the role the police play, in terms of tackling crime, delivering safety and building relationships with members of the community. One of the contextual debates that has set up the recent debates around the policing of violent crime and what we know there has been a significant number of deaths particularly in London, more than 100 killed in London alone in 2018, largest result in violent crime. This is something people are making the connection between that and the way the police are presented and the way the police are able to perform their role. We need to think critically and deeply about what these elements entail. Sputnik: The home secretary is under pressure to get more funding, but will money solve the situation or does something else need to be done to improve public safety? David Scott: Improving visibility might well have some impact in certain ways and certain communities with ways of perceiving the police in terms of confidence in them and perceptions of safety. It wouldn't be necessary for the people who directly engage with police. What I mean by these people from black, Asian and minority ethnic backgrounds and people from impoverished backgrounds, having more people on the streets rather than for these communities it would serve that with more police and safety and security they might lead to more forms of coercion and control. You're right that the home secretary is under pressure to put more money for the police service, but at the same time, there are other alternatives aspects that are being promoted which are more insidious and one of the debates has been happening in the last 24 hours has been this attempt to increase police powers and to try and reduce some of the safeguards and the safeguard of reasonable grounds when it comes to stop and search. The views expressed in this article are those of the speaker and do not necessarily reflect those of Sputnik.